Looking for a Fun and Non Judgmental Environment for your child to Learn in this summer? 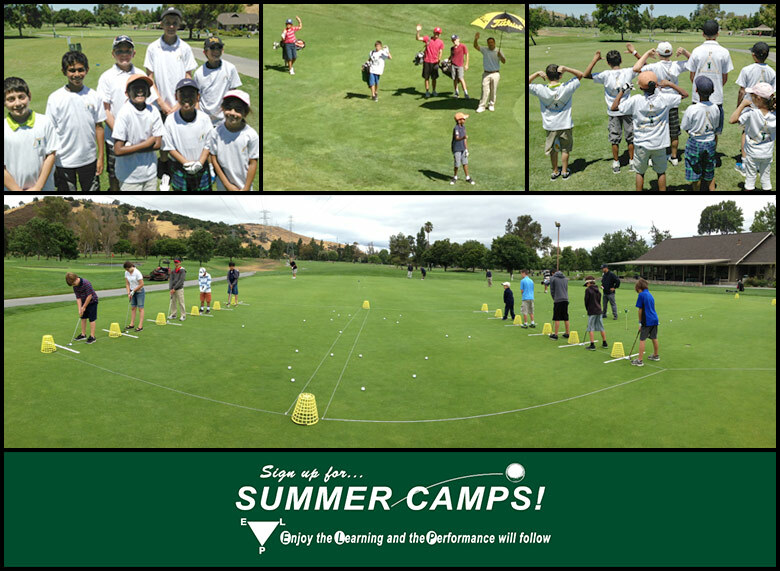 Our Junior Golf Camps are for ages 6 - 17 and run from Tuesday through Friday, 8:30 am to 12:30 pm. The All Day Camp time TBD. Each day begins with instruction and then moves on to the Golf Course course for learning and competitive play. Our team of PGA certified golf instructors will personally coach each student on the basic fundamentals of putting, short game, full swing, rules and golf etiquette. Students will get the chance to learn how to apply his/her newly acquired skills while playing the Executive short course every day in the 1/2 day camps and in the Full-Day Camp #5 - Nine holes of play will take place on the 18 Hole Championship Course.